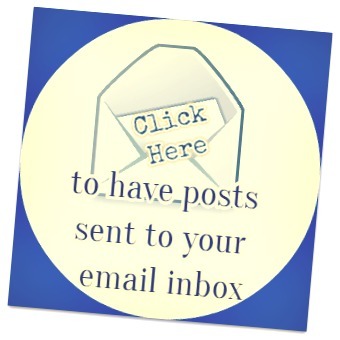 Are you tired of giving the same gifts over and over again? 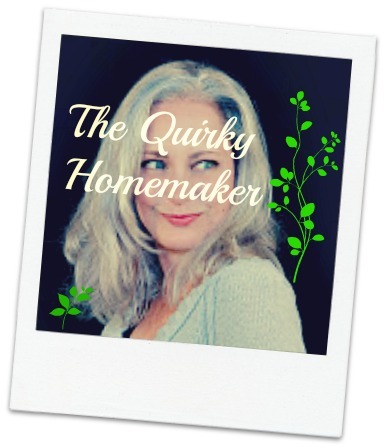 Or are you drawing a blank on a unique, fun gift that you could give someone who seemingly has everything? Piczzle has the remedy~~ Custom Photo Puzzles. Looks like a fun way to give photo memories. 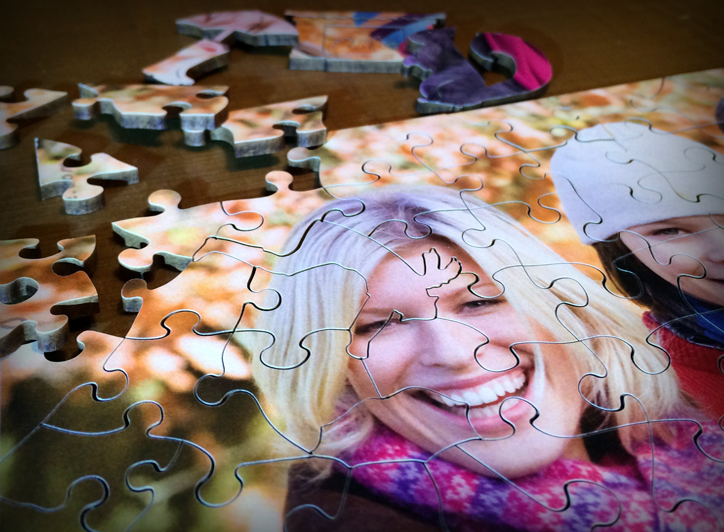 Not only can your gift recipient reminisce with a photo, but they can have fun putting it together as a jigsaw puzzle! 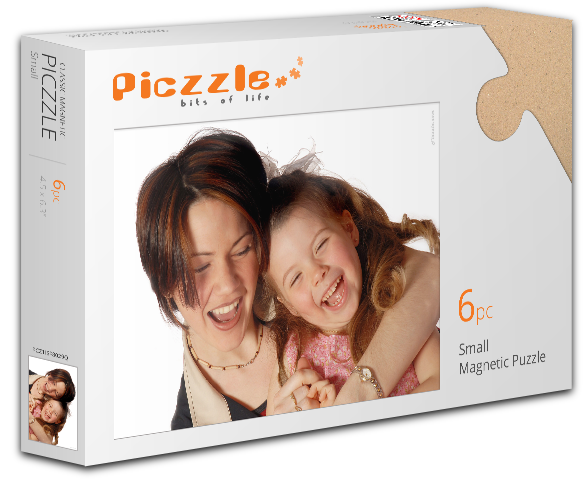 Piczzle is a website where you can create custom photo puzzles. They have all kinds of sizes and puzzle counts in three different formats. You can have custom photo puzzles made in one of these three materials: Classic cardboard, wooden, or magnetic. Prices start at just $14.95. We have our family photos done every year to give out during the holiday (although somehow getting the photos actually printed, fell through the cracks this past year!!! I still need to get them done!) I love the idea of sending a custom photo puzzle to some of our family members in addition to their normal 8x10 or 5x7 photo. I know there are several of our family members who actually enjoy the challenge of putting puzzles together. What a cool gift that would be. Plus, each puzzle comes in a customized box OR you can leave the box blank so that your recipient can be surprised when they finish the puzzle. Here's some info about each type. Some of the puzzles can be made with "special cuts", which is something I don't remember ever seeing before. 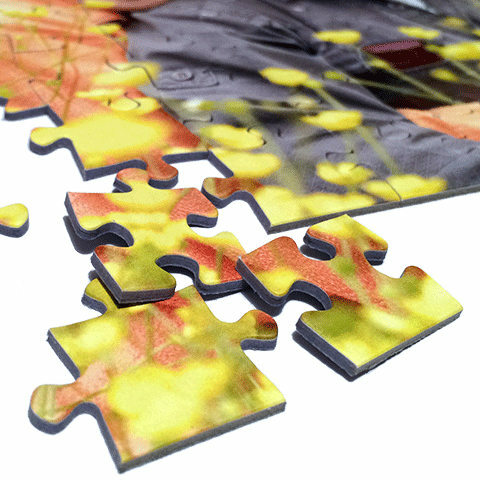 The puzzle will come with certain puzzle pieces that are cut into special shapes that fit into the rest of the jigsaw puzzle. For instance, you can have an animal theme special cuts puzzle (available with the 50 piece and 100 piece rectangle puzzle). How cute is that idea??? 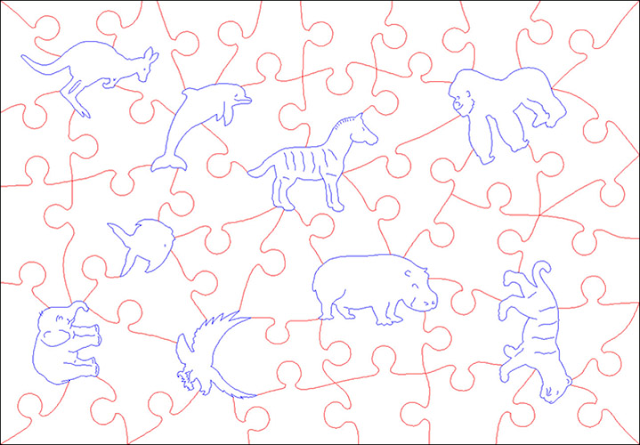 You could have one of your photos from a favorite trip to the zoo switched from picture to puzzle AND have special shapes within the puzzle pieces! Too cool. Special cuts can also be made in some of the wooden puzzles. As you can see, the possibilities for customizing a puzzle are endless! There are 110 different variations that can be done with your photos. Piczzle has 3 production facilities spread across American and Europe. They have been in business for over 13 years and have delivered over 360,000 customized picture puzzles. That's over 108,671,409 puzzle pieces! They must be doing something right. 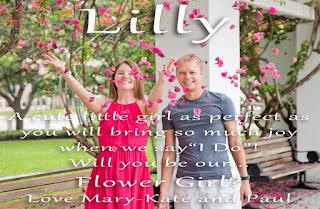 I love the customer story on the Piczzle website about a couple who invited their niece to be the flower girl in their wedding by sending the little girl a Piczzle photo puzzle to put together. How cute is that idea? 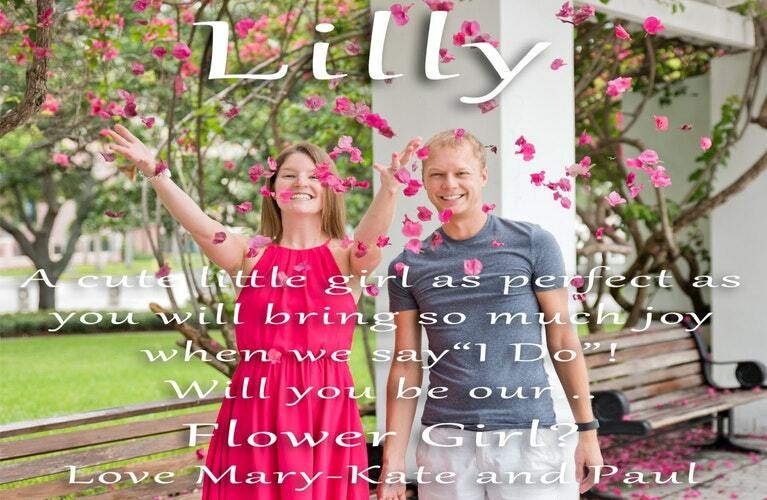 Promposals -- With Promposals becoming more and more unique, a photo puzzle would be the perfect addition to a promposal. Since prom season is in the Spring, the custom made puzzle could be used for homecomings in the Fall also. A refrigerator magnet puzzle for your toddler. Instead of just alphabet magnets, you could engage your toddler with a low-count magnetic puzzle of a favorite pet or colorful scene. 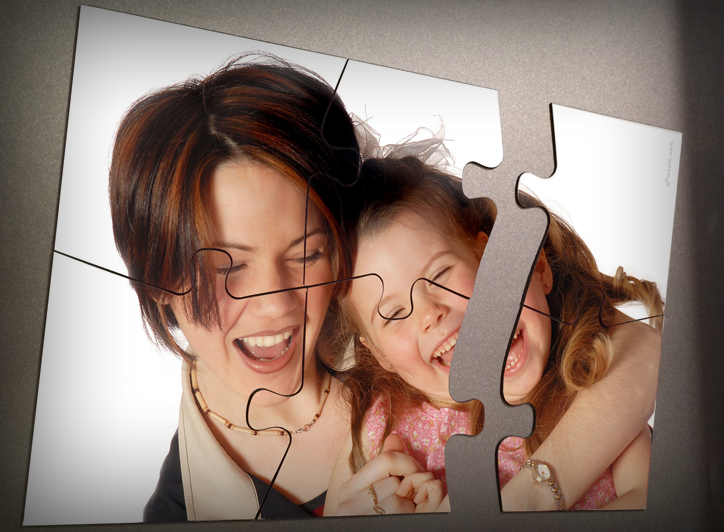 Create a puzzle out of your kids' artwork. Take a photo of your child's artwork and create a puzzle that they can do over and over. Or, put the puzzle together once and frame it.